We are committed to pioneering regenerative therapy, as we believe that it offers patients a better chance to enjoy joint healing and rejuvenation. Current, conventional treatments for degenerative joint conditions still mainly rely on reducing the severity of symptoms through the use of anti-inflammatory medicines and painkillers. These treatment options don’t actually heal; they simply have an effect on pain management. We believe that the cells extracted from umbilical cords offer a complex combination of growth factors, proteins and stem cells which provide a highly active regenerative mixture. Because it prompts the body to heal itself, the regeneration process is entirely natural: performed by your body for the benefit of your body! If you or someone you care about is suffering from degenerative joint pain, or have been told you need steroid injections or even surgery, why not get in touch with the caring physicians at the Preferred STEM CELL clinic in the Palmetto State and find out more about regenerative medicine – what We believe to be a large part of the future of yours and others rehabilitative medical care! Dr. Smith is a double board certified physician in Family Medicine as well as Anatomic and Clinical Pathology. He has seen first hand the difficult challenge patients have in trying to deal with the pain and decreased mobility resulting from arthritis. Often their only source of treatment is chronic pain medication or joint replacement. He is excited about bringing an alternative, non-surgical option for patients looking for a more natural approach to healing. For the last 28 years, Dr. Worley has provided chiropractic care to the citizens of Laurens County. In 2017 an opportunity was provided for him to purchase the practice of a dear friend and he expanded his services to Greenwood, South Carolina. Dr. Worley’s passion for serving patients with the most up to date and scientifically sound research will continue with Palmetto Stem Cell Clinic in 2018. The clinic’s purpose is to allow patients to have a choice over artificial joint replacements by utilizing natural anti-inflammatory and cartilage rebuilding properties through UC stem cells. Dr Donald Worley was born in Memphis, Tennessee and at age 3 his family moved to Mobile, Alabama for seven years. In 1970 his family moved to Greenville, South Carolina where he remained and graduated from Wade Hampton High School. After graduation, Dr. Worley attended Greenville Technical College and obtained his Associates Degree in Radiological Technology. He then spent six months working at Greenville General Hospital before moving to Charlotte, North Carolina and continued working in Radiology at Charlotte Memorial Hospital. After a year of working full-time, he enrolled at the University of North Carolina - Charlotte. He balanced his work and studies to successfully graduate in 1986 with a Bachelor of Arts Degree in Chemistry. 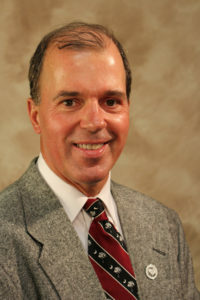 Dr. Worley then moved to Marietta, Georgia and enrolled in Life Chiropractic College, now Life University. He graduated in 1990 with a Doctorate of Chiropractic and began his career of chiropractic care shortly thereafter in Clinton, South Carolina. In 2011 Dr.Worley was awarded with the prestigious Palmetto Patriot Award commissioned by SC Lieutenant Andre Bauer. In 2015 Dr. Worley was recognized as one of the Top 100 Most Influential Leaders in the Upstate of South Carolina by G.S.A. business magazine. Dr. Jerrod Nelms is an expert in epidemiology and biostatistics, occupational and environmental health, and public health. 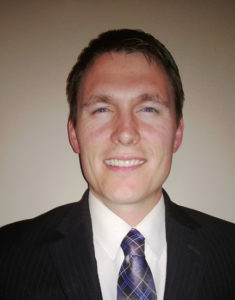 He is experienced in human subjects/institutional review board processes, proposal writing, clinical and epidemiological study design and guidelines, data collection and management, statistical analysis and modeling, algorithm and metric development, quality assurance/performance improvement, manuscript and abstract preparation, safety and environmental health program design and management, and patient safety. Dr. Nelms is an expert in the use of the entire epidemiological and biostatistics including: meta-analysis, longitudinal study designs (Poisson, nested case-control, particularly in the healthcare setting), cohort (both prospective and retrospective), case-control, case-crossover, clinical trials (all phases), time-to-event (survival analysis, Cox Proportional Hazard Models), cross-sectional, and mixed methodologies (quantitative and qualitative hybrid analyses). 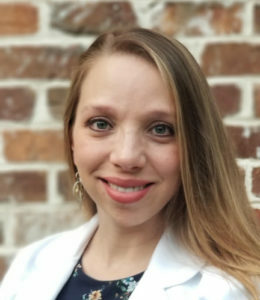 Amanda is a certified family nurse practitioner from Graniteville, South Carolina. She obtained her Bachelor of Science in Nursing degree from the University of South Carolina Aiken in 2009. She worked as a registered nurse for eight years before graduating with her Master of Science in Nursing – Family Nurse Practitioner degree, which was obtained from Chamberlain College of Nursing. Outside of the realm of medicine, Amanda enjoys spending time with her husband and two children.